Complete a home inspection training course of 120 hours or more approved by the State of Florida. Schedule a test date and take the Florida home inspection exam. After passing the exam, forward your application to the Florida Department of Business and Professional Regulation (DBPR), who will process your home inspection license application. After that you’re ready to start your own home inspection business or go to work for an established home inspection company in your area. That’s it! Once you receive your license, you’ll be qualified to perform home inspections anywhere in the state of Florida. When you choose ICA for your Florida home inspection training, you’ll easily meet Florida’s requirements for becoming a licensed home inspector. 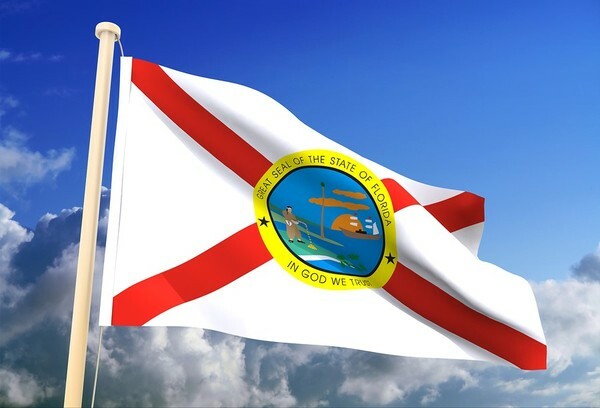 Inspection Certification Associates has been fully approved by the State of Florida as a qualified provider of home inspection training (Florida provider approval #00600), as has our Online Inspector Training and Certification Program (Florida course approval #0000528). ICA goes far beyond, covering more topics in greater detail than any of our competitors. We’re simply the best way to become a licensed Florida home inspector—you’ll understand why when you compare us to the competition. Each of the 28 home inspector training videos is narrated by an instructor who is a certified and highly experienced home inspection industry professional. Having collectively performed literally thousands of inspections, our instructors have seen and experienced just about everything that has to do with inspecting residential and commercial properties. ICA’s home inspector training is all-inclusive. We cover everything from the basics of conducting home inspections to beginning a new career as a licensed Florida home inspector. There’s also information on starting and promoting your own home inspection business. ICA is a home inspection training affiliate of the Florida Association of Building Inspectors (FABI), which entitles our graduates to a free one-year FABI membership. As an ICA graduate, you’ll also receive a free listing in the Hire An Inspector directory. Being listed in the Hire An Inspector directory normally costs $200 per year, but as an Inspection Certification Associates graduate, you’ll receive a free listing for life. You’ll also receive a complimentary one-year America Society of Home Inspectors (ASHI) membership. All this and lots more is included with your one-time $695 tuition payment! Why wait? Enroll now and you can start your own business as a licensed Florida home inspector in just a few weeks. Still have questions about ICA or our Florida home inspector training? Browse through our FAQs, read the FAQs below or call us at 888-374-4096. We’re here to help! As stated above, once you complete our 120-hour online course, you become a certified home inspector. Upon completion of the course, we will mail out your home inspection certification and issue you your certification number. That number is what you’ll want to put on your business cards and home inspection reports. You also will need to take the Florida home inspectors exam, but don’t worry. We’ll prepare you for that. How much money do home inspectors make? The average salary for a home inspector in Florida is approximately $71,000 per year. How much does a home inspection pay? The average fee for a home inspection in Florida is $375. The amount you charge for a home inspection will vary based on age and square footage of the home. We will cover what you need to know about that during the course. Do you offer wind mitigation inspection training for Florida? Yes. Florida home inspectors who wish to perform wind mitigation inspections must complete a 3-hour wind mitigation course. All of our Florida home inspection training students have free access to the 3-hour wind mitigation course. We offer that training online for our Florida home inspection students. In Florida, a wind mitigation inspection can help homeowners save money on their insurance. Students can purchase the wind mitigation course separately for $200. Otherwise, it is free to students of our $695 online home inspection training course. Does this online home inspection course certify me in mold inspection and radon inspection? Yes, we include our mold and radon certification courses free of charge to students who enroll in our online home inspection course for Florida. Is your home inspection training course recognized by InterNACHI? Yes. We work very closely with InterNACHI. In fact all of our graduates receive a free one year membership to InterNACHI. Also, if you are interested in a classroom training course in Florida, InterNACHI offers classroom training at its House of Horrors facility. If you are interested in that just click here. Is your training recognized by FABI? Yes. We work closely with the Florida Association of Building Inspectors. If you want to join FABI after taking our course, you can actually get a free one-year membership by attending a FABI event. Is your home inspection training course recognized by ASHI? Yes. We work closely with the American Society of Home Inspectors. In fact, we train you specifically to the ASHI standards of practice and our training is certified Gold by ASHI. Is your home inspection training course recognized by NAHI? In 2016 NAHI merged with ASHI, so NAHI no longer exists actually. Will you mail me a certification? Yes. We mail out your home inspection certification to you upon completion of our online course. What should I use for my inspection report when I perform a home inspection? We have an arrangement with www.homeinspectionform.com, in which our graduates receive a free copy of their Report Form Pro 2 home inspection reporting software. That is the report that most of our graduates start with since it is so easy to use. Normally selling for $400, the Report Form Pro 2 home inspection report software can be printed and filled out by hand or filled out on your smartphone, tablet, or computer. You can even put in photos easily. There is also a mobile app version of their home inspection report that can be used on an Android or Apple mobile device. At the end of the day, all that matters is that you have a home inspection report form with which you’re comfortable. These are both good home inspection report options. Is there a time limit for the online home inspection course for Florida? No. There is no time limit on our course, so you can take as much time as you would like to complete it. Do you provide a list of tools that I need for performing a home inspection? Yes. We provide you with a list of tools needed. It comes out to a little under $200, including the non-invasive moisture meter. We suggest using www.vistaprint.com for your business cards, brochures, and company website if you set one up. They are very affordable and even have templates specific to home inspection businesses. Do you offer my state test? No schools are allowed to give the home inspection exam in Florida. That test is given by a third-party testing company. Do you send my certificate to the board? Actually, the way it works is once you complete our course and pass the Florida exam, you will send the board a copy of your certification from us along with your score sheet from the Florida exam. Then you will be issued your home inspection license. Can I start my own home inspection business after taking your online course? Yes. In fact, the majority of our graduates will start their own successful home inspection business after completing our course. We also train you on the whole marketing and business start-up side of things. What if I have questions during my home inspection course? We have full support for all of our home inspection students and graduates, both during and after the course. Even if you have questions when you are on a home inspection, we can assist. Do I need to be a contractor to be a home inspector? No. We train students from all different backgrounds to be successful home inspectors. It doesn’t matter whether you want to become a home inspector in Tampa, Clearwater, Miami, Dade County, Miami-Dade, Jacksonville, Orlando, Fort Lauderdale, Fort Myers, Gainesville, Tallahassee, Pensacola Naples, Ocala, Sarasota, or Palm Beach. Our online home inspection training course can be completed from anywhere. What are you waiting for? Enroll now and start your new career as a home inspector in Florida!